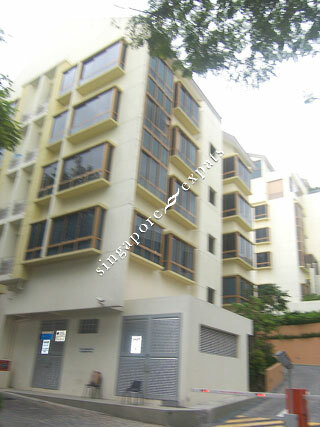 THE MAYLEA is located at 242E - 242K PASIR PANJANG ROAD in district 05 (Buona Vista, West Coast) of Singapore. THE MAYLEA is a Freehold Condo development consisting of 88 units. THE MAYLEA is completed / TOP in 2009 (estimated), developed by HOI HUP J.V. DEVELOPMENT PTE LTD.
Educational institutions like TANGLIN TRUST SCHOOL, GLOBAL INDIAN INTERNATIONAL SCHOOL (QUEENSTOWN), ISS HIGH SCHOOL, FAIRFIELD METHODIST SCHOOL (PRIMARY), BLANGAH RISE PRIMARY SCHOOL and NEW TOWN PRIMARY SCHOOL are near to THE MAYLEA. THE MAYLEA is accessible via nearby HAW PAR VILLA, PASIR PANJANG and KENT RIDGE MRT Stations. It's a great environment. Quite convenient to go to downtown. It's a nicely built condo with an exclusive location. Amenities are in great condition. Very near bus stop and MRT station. Nice Resort living environment. Expats choice. Quiet peaceful environment. Prized Freehold asset along circle line MRT.